No one likes shameless self-promotion, but I hope you’ll forgive it this once. 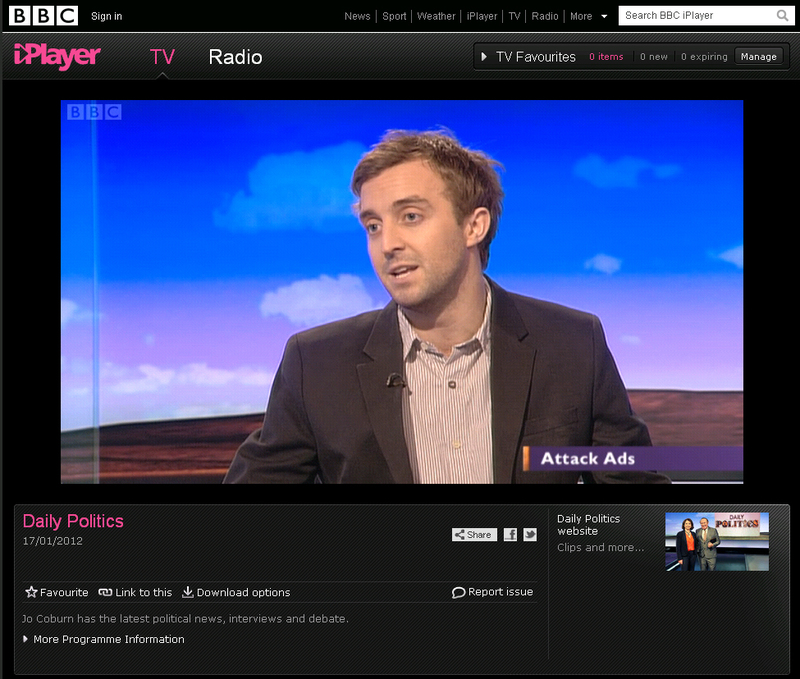 I was just interviewed about attack advertising, live, on The Purple Sofas of The Daily Politics on BBC 2. You can watch the programme on BBC iPlayer here (the feature starts at 23m 27s).